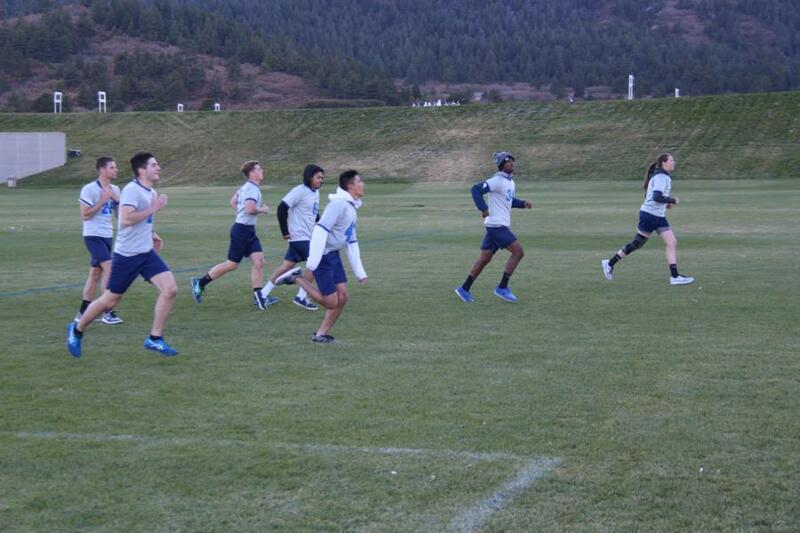 This Go of Intramurals the Cadets are competing in Ultimate Frisbee and Flickerball. 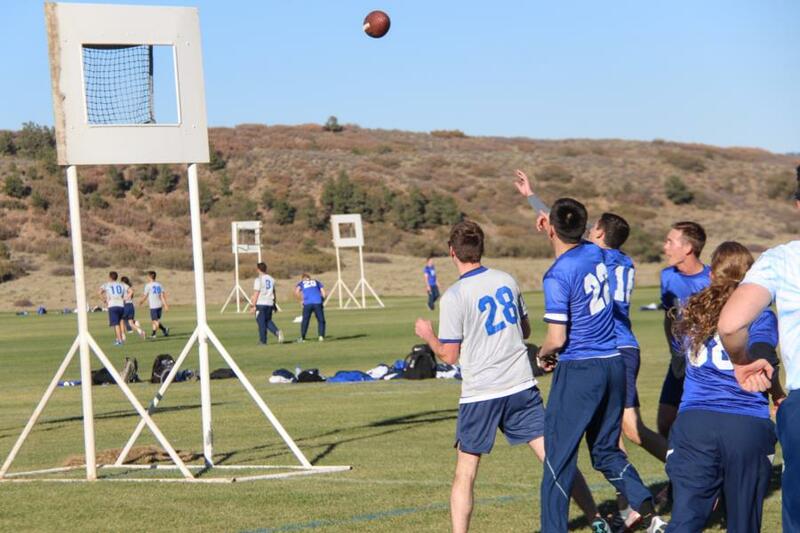 Flickerball at USAFA is played on a grass field with raised goals on both ends. 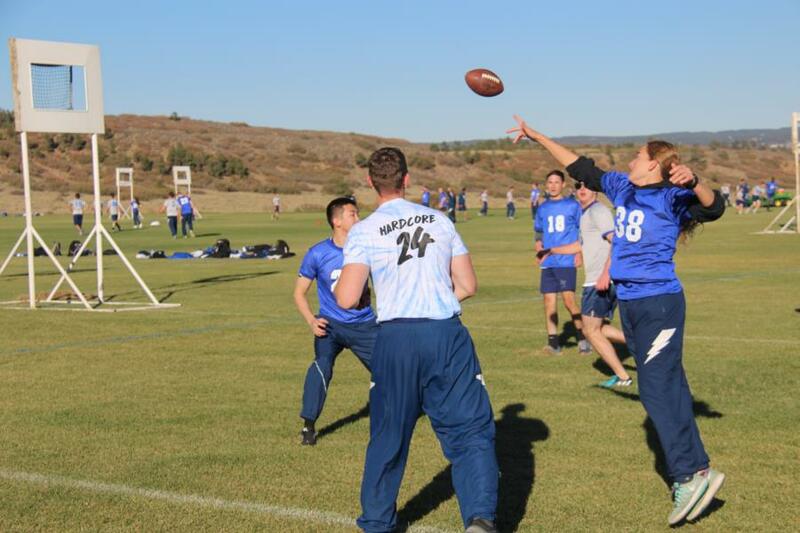 Each team must move the ball forward without the ball touching the ground or being intercepted while staying inbounds, either of these leads to a change of possession. 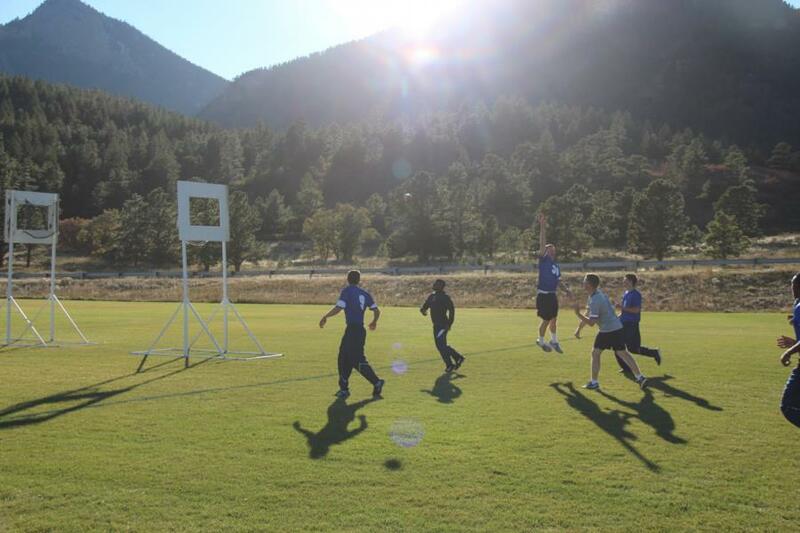 The player can take three steps after the catch with limited forward progress before they must pass the ball off to a teammate. There is no pushing or shoving allowed and fouls can be called on the honor system. 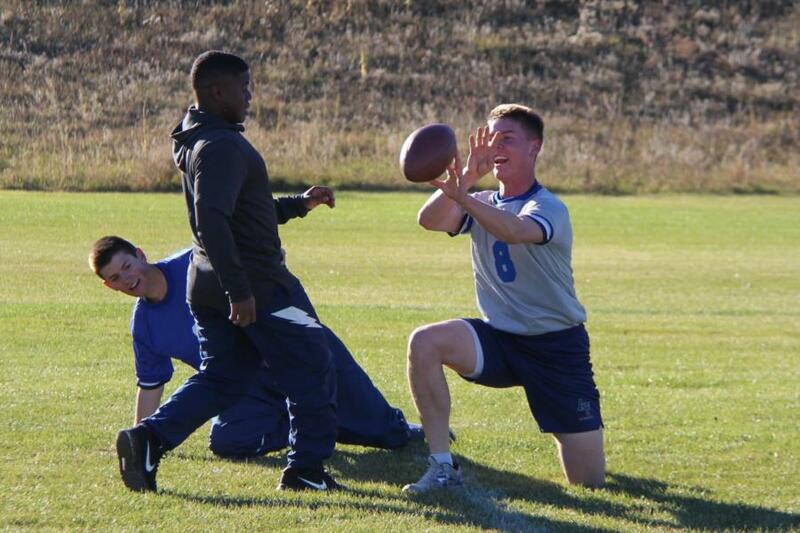 The ball must be thrown overhand to score. Hitting the board is 1 point and putting the ball in the netted goal is 3 pts. 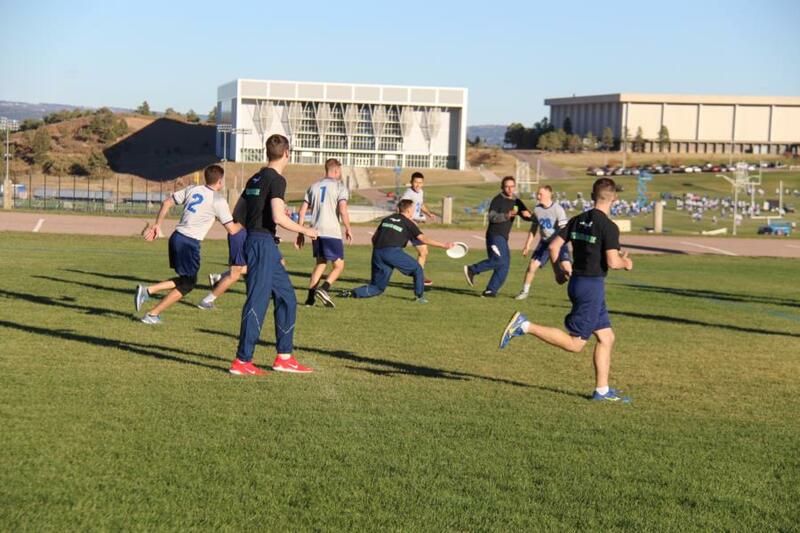 Ultimate Frisbee is a non-contact sport played with a flying disc. 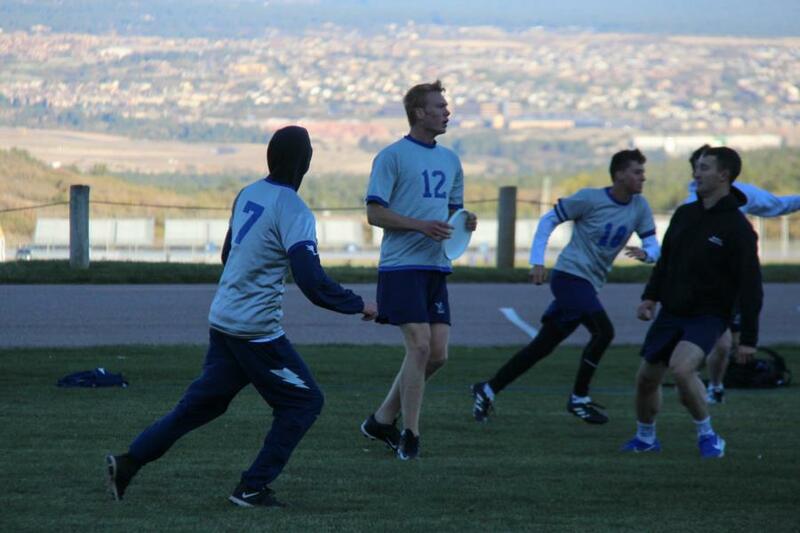 The goal of the game is to move down the field by throwing the Frisbee to teammates until you reach your opponent’s end zone. Each score is 1 pt. 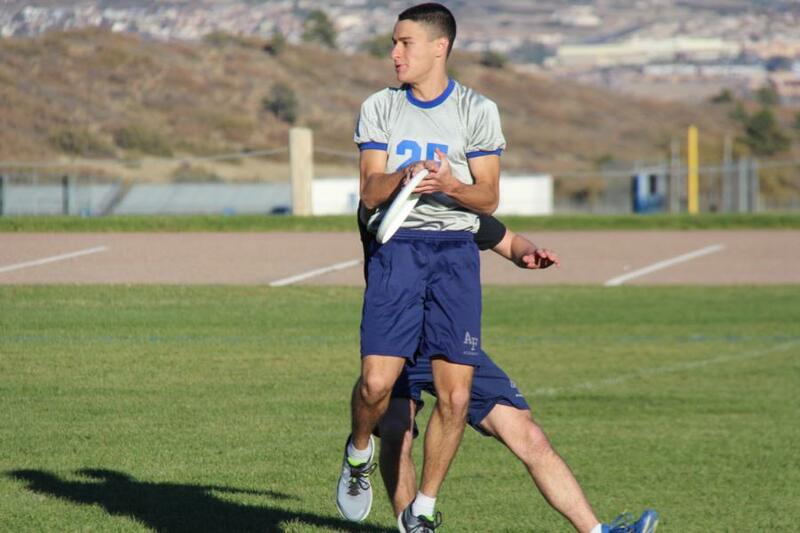 “…ultimate Frisbee combines speed, grace and powerful hurling with a grueling pace. ”-The Wall Street Journal.